Last week MVM Entertainment ‘surprisingly’ announced that they would be releasing Log Horizon Season 1 & Season 2 as a Collector’s Edition set on Blu-ray; with both seasons being packed into a single chipboard art box alongside a selection of art cards. As announced this Collector’s Edition set will only be available on Blu-ray; but MVM Entertainment do have plans to release Season 1 and Season 2 as ‘complete season sets’ on DVD during 2018. This will be cased in an artbox with artcards & exclusive to BD. Seasons 1 & 2 will be released separately on DVD next year. 2/2. 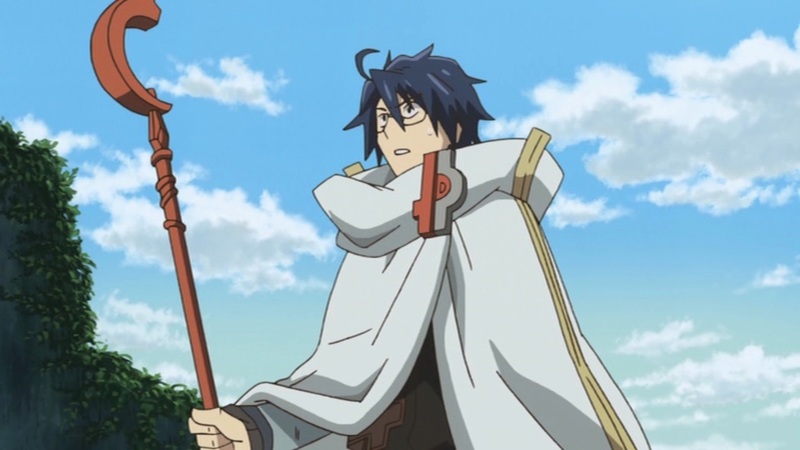 Previously Log Horizon was released as half-season-sets on both Blu-ray and DVD, with each set housing twelve episodes, but now – as a result of this announcement – Log Horizon fans will be able to get the complete collection, which consists of 48 episodes across eight Blu-ray discs, in a single purchase. This Collector’s Edition of Log Horizon – Season 1 & Season 2 is currently scheduled for release on the 27th November 2017 and is currently available to pre-order from anime-on-line.